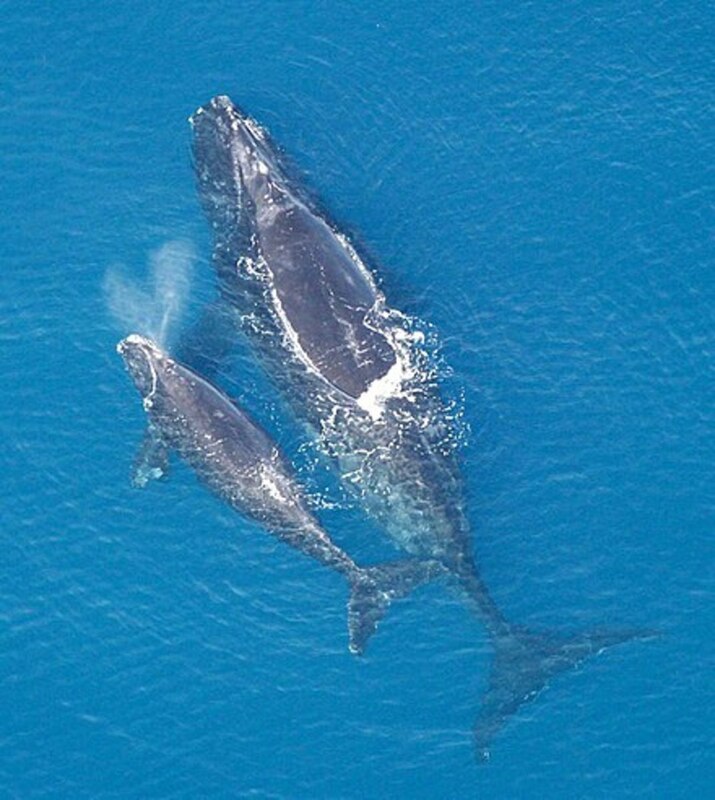 North Atlantic right whales are among the marine life that could be affected by seismic testing. The Trump administration approved five requests that would allow companies to conduct seismic airgun tests off the East Coast in search of potential drilling sites for oil and natural gas. The seismic tests are done using blasts of compressed air, and the concern is that the surveys could harm whales, dolphins and other marine life. According to an article in the Washington Post on Nov. 30, the National Marine Fisheries Service, a division of the National Oceanic and Atmospheric Administration, issued final “incidental take” authorizations that allow companies conducting the surveys to harm wildlife if it’s unintentional. “NOAA Fisheries is clear in the documentation related to [incidental take authorizations] that we do not expect mortality to occur as a result of these surveys,” NOAA spokesperson Katherine Brogan said in the article. But members of Congress and governors of the states that could be impacted have all spoken out against the testing. Seismic testing is the first step that could lead the way to drilling for oil or natural gas. The permits that were approved in late November are the first issued, but Craighill explained that the Bureau of Energy Management, which is a division of the Department of the Interior, still must approve additional permits about wildlife disturbance before the testing can begin. Once blasting begins, the acoustic waves are sent through the ocean every 10 to 12 seconds and can last for weeks. The testing is designed to map the ocean floor to estimate the possible existence of oil and natural gas. Only exploratory drilling can confirm the presence of gas or oil. The local habitat can be damaged by the sound waves, which can also damage marine mammals’ hearing. Other concerns are that animals will leave their habitats because of the disruption caused by the blasting. On its website, the environmental protection association Oceana reported that a lawsuit was filed to stop the testing.